These brilliant red birds are native to rainforests of Central and South America. They are typically seen in pairs or small groups. Their strong bills can crack open tough nuts, seeds and berries. They also feed on fruit. Habitat destruction and the exportation of large numbers for the pet trade have severly threatened the species. 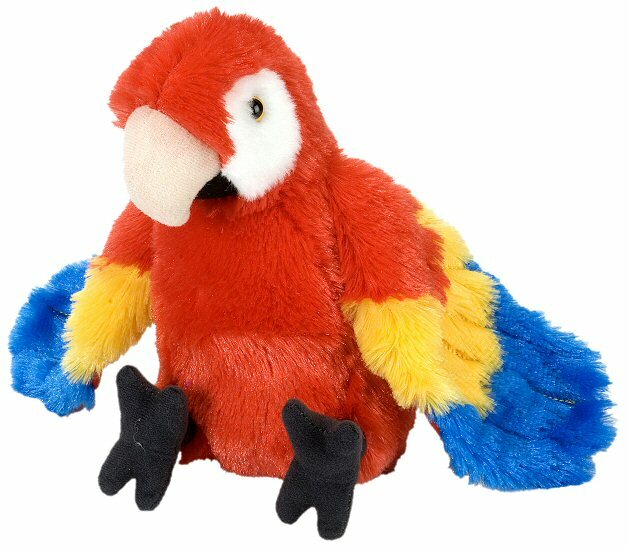 A portion of the proceeds from the sale of this beautiful Mini Cuddlekins Scarlet Macaw stuffed animal helps to provide housing and education for disadvantaged children, as well as protection for abandoned animals throughout the world. This adorable Mini Cuddlekins stuffed beaver has a cuddly understuffed body with soft dark brown fur and gray feet and floppy tail.